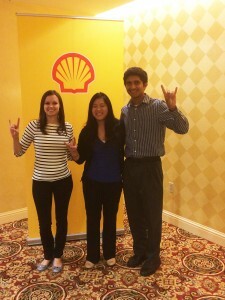 Over the summer, three BHP students interned with Shell Oil Company in Houston. Catherine King, BHP & MIS ’15, and Aarayaman Singhal, BHP, MIS & Plan II ’15, were IT Analyst Interns and Erin Sun, BHP & MIS ’15, was a Data Management Intern under the Shell Exploration & Production Company. We asked the trio about their experience at Shell. Catherine: I applied through OCR by submitting a cover letter and resume. The next step was to complete a two part assessment: a Competency Based Questionnaire and a Cognitive assessment with a decision making task and a problem solving task. Once those assessments were completed, a phone interview was required to complete the application process. Erin: I was studying abroad when I applied to this position in the fall semester through OCR. It was one of the few positions that I was interested in and didn’t require an on-campus interview. I dropped my resume for a Shell IT internship through OCR and submitted an application on their website as well. Aaryaman: I was mostly creating a SharePoint website for my team. I also helped with other tasks around the office like updating our training materials and thinking about how to capture organizational knowledge. Catherine: I had two deliverables for the summer. The first was to create a spreadsheet that summarized the contents of 5 databases and highlighted the gaps between the overlapping records. The second deliverable was to run a pilot with Shell’s Trading department to create action items with the focal points and work to resolve the data gaps. Aaryaman: Shell has a very networking-oriented culture. If you want a specific job or role, you contact the person in that role and talk to them. Everyone is willing to take 30 minutes out of their day to meet with someone. Catherine: The people at Shell are unbelievably nice. As a result the culture is honestly pretty laid back, granting its employees a lot of freedom and flexibility. Shell is such a huge, global company, that many of the teams, including mine, are virtual. The virtual nature of the company invites late night and early morning calls that can be taken from home if necessary. Work / life balance is a high priority at Shell. The company offers a 9/80 schedule—employees work 9 hours a day, so every other Friday is off! What was most surprising or unexpected during your experience? Catherine: The most surprising part of interning at Shell was realizing how much trust they put in the interns. Specifically, I had a supervisor who sits in London, and the rest of the team was virtual and did not sit in the Houston office. The team not only gave me full responsibility of the project with very little direction, they also never once asked how many hours I worked or questioned if I came in late because of an early morning call to India or Malaysia. Erin: The most surprising part of my internship was experiencing office politics. 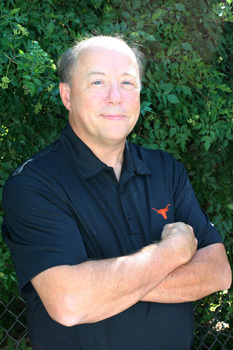 Besides group projects, most of the work I’ve done at UT is managed by me and only affects me. However, my project at Shell concerned and would most likely affect the entire department. During my internship I saw how important communication skills were. Being able to ask the right questions and listen to conflicting opinions was an important part of my project. The biggest challenge was being able to convince people who have more experience and different opinions my point of view. 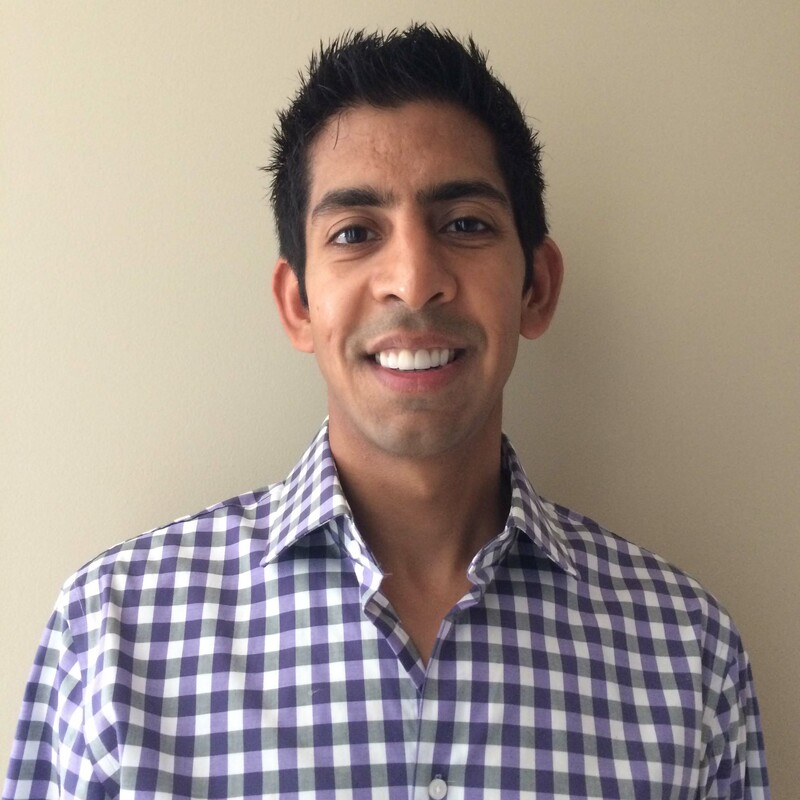 Aaryaman: Don’t settle for assignments and tasks you’re given if you don’t find them interesting. Keep asking for and finding ways to do the work you want to do. Catherine: Network, network, network. It really is worth it to have a 30-minute conversation with employees! I was able to set up a chat with Shell’s CIO and VP of Projects & Technology department to discuss my final presentation. At the end of the talk she offered to look over my slides and give me feedback! How did you find your classes in the Business Honors Program at the university to be applicable during your internship? Catherine: The most applicable courses to my internship this summer were BA 324H, MIS 301H, and OM 335H. My project required communication with six stakeholders in five different countries. I am very glad to have taken BA 324, a class that gave me the foundation to tailor conversations and emails to employees who embrace varying cultures. Secondly, I used excel for all of the summer, so the effort put into all the MIS 304 homeworks paid off! Lastly, OM was a huge help in understanding the processes and applications required to transport the oil up from the ground to the refineries, through factories, and ultimately to the retailers as efficiently as possible. Erin: The classes I found that helped me the most were my MIS classes for the technical part when I used SQL and OM because I was looking at process improvement and some project management. I had to build many process flows during my project. Every class project I did at UT also helped to build time management skills, people skills, and helped me to become more detail-oriented, making sure that I have everything I need to reach my goal. Catherine: The Shell internship program is very developed, and gives interns many opportunities to see other parts of the business, outside of where the interns worked each day. For example, the IT interns were given the opportunity to see the Trading floor, hear presentations on the manufacturing processes, and a trip was scheduled to tour the Deer Park refinery! Erin: My supervisor and mentor during my internship made sure that I was interested in my project. They made me feel comfortable speaking out and giving my opinion. I mainly used passive skills during my project to interview co-workers to get details about the data management process, but since I also wanted to use my technical skills, I was also given the task to develop reports using SQL. I got to experience both the functional and technical side of the department. Aaryaman: There are too many to list but if I had to choose one: Find ways to do the type of work you want to do so that you enjoy your work. No amount of money is worth spending 8-10 hours/day doing something you don’t enjoy. Catherine: The most important part of an internship, I have found out, is to determine who you are and what you like as an employee. This could be anything from a startup company in a small town to realizing you like a larger company in a metropolitan city. Ultimately, my most valuable lesson was determining my own personal strengths and how they can benefit my future employer and myself. 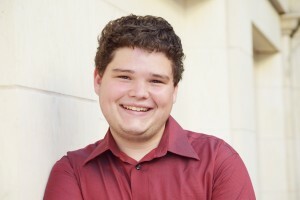 BHP senior, Jace Barton, recently took on the role of president for the Honors Business Association (HBA). Since first becoming involved with the organization as a sophomore, Jace has found a new level of confidence in himself, which he hopes will have a positive impact on HBA during his presidency. I chose UT and the BHP because of the community environment I sensed on my visit here. I came from a small high school, so I was worried that if I chose to come to a big school like UT, I would get “lost” so to speak. But the Business Honors Program extremely impressed me by showcasing its passionate, remarkable students and more importantly for me, the amazing relationships they were able to develop with one another during their time on the Forty Acres. What do you think is HBA’s role in BHP? The official explanation is that the Honors Business Association (HBA) is the official student organization of the Business Honors Program. But the way I like to describe HBA is as “home” to Business Honors students. I think this works on several levels. The word “home” has a connotation of comfort and belonging. For most people, no matter what happens in the world, you know you can always go home and be welcome. Some people like spending a lot of time at home, and others prefer to spend their free time elsewhere. All of this rings true for HBA. We have some students who get extremely involved, and others who come to an event or two a semester. But no matter what, every BHP student is always welcome at HBA events, be it a freshman who doesn’t quite know how they want to get involved on campus or a senior who is just now discovering all of the wonderful things HBA does for BHP students. How did you become involved in HBA? I attended some HBA events my freshman year, but I really started to get involved in HBA my sophomore year. In addition to attending more events, I was also a member of the Alumni Relations committee. My junior year, I was elected as the Financial Vice President. And now, as president of the organization, I’m responsible for overseeing all of the operations of HBA as well as representing the organization at official functions of both the BHP and McCombs in general. What have you gained by being part of HBA? Personally, I have gained a lot of confidence in my event planning and leadership skills. If you had told freshman Jace that he would one day be HBA President, I wouldn’t have believed you. It took a while for me to develop confidence in myself, especially since I was surrounded by such high caliber students in the program, but HBA helped in that development. That brings up another thing I’ve loved about getting involved in HBA – I’ve gained an even greater appreciation of the incredible people who constitute the Business Honors Program. That includes faculty, staff, students, and alumni. Everyone is so caring, nice, genuine, and talented. Being in such an outstanding environment motivates you to be the best person you can be. What do you hope for HBA to do differently under your presidency? I want HBA to be more flexible and responsive as an organization, which entails doing a better job of gathering and responding to feedback. If our members aren’t enjoying one type of event, I want to know about it as soon as possible so we can plan events that better match the preferences of our members. I’ve also made it an initiative to have more cross-functional events. For example, we’ve always had Alumni and Philanthropy events, but we’ve never had events which combine those two functions. We haven’t seen a lot of those yet this year, but I know we have some great events like this in the pipeline that I’m super excited about. Business Honors students in BA 151 had a great opportunity to watch an interview between BHP Faculty Director, Robert Prentice, and the executive director of the Texas Program in Sports and Media, Michael Cramer. This session was especially exciting for students interested in the sports industry as Cramer is a former president of the Texas Rangers and the Dallas Stars and, more recently, a professor in sports management at New York University. Cramer completed his undergraduate degree in Political Science and History as well as his Master’s of Urban Planning and Public Administration at the State University of New York – Albany. He then went on to attend law school at Marquette University Law School. Cramer knew going into law school that criminal law was not the right fit for him when he clerked for a small law firm and worked on civil law cases where he was introduced to corporate law. After working at the small firm for seven years, Cramer started his own firm with friends that reached 17 attorneys in just one year. During that time, he sold a business to Dean Metropoulos who then invited Cramer to assist him in buying and selling businesses. The two continue to work together today. Still interested in sports, Cramer also worked with Tom Hicks to create what is now known as Hicks Sports Group, LLC, which owns and operates baseball and hockey teams such as the Texas Rangers and Dallas Stars. Cramer kept the students engaged with his relatable humor and vivid accounts of his experiences throughout his successful career as an entrepreneur in the consumer products and sports industries. BHP students in the sophomore lyceum course will hear from 10 executives this semester, all of whom will offer great insight into their industries and valuable advice on leadership. Many thanks to Michael for taking time out of his busy schedule to speak with our students! On Wednesday, October 15th, the Honors Business Association hosted its annual company dinner at the Etter-Harbin Alumni Center. With approximately 150 guests spread over 21 tables, this year’s dinner was the largest in the organization’s history. After a brief networking session, the guests settled in to enjoy a delicious three-course meal. Each table had one or two company representatives and a handful of students. Over the course of the dinner, students gained valuable insights about recruiting and post-collegiate life as representatives fielded questions about their career paths and their experiences at their respective companies. At the end of the dinner, students and representatives continued to chat and network with each other. As always, the company dinner proved to be a roaring success. It certainly lived up to its reputation as one of the most popular events of the year!